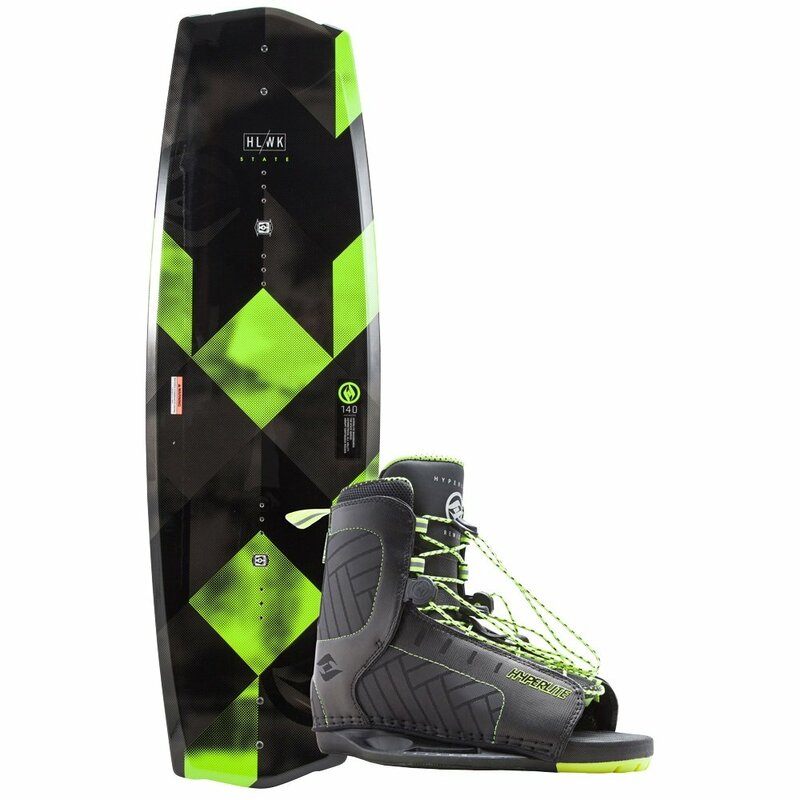 With its Asymmetrical Design, the Hyperlite State 2.0 140 Wakeboard Package gives you more balanced performance by responding to the way your weight rests on the board. Since your heel receives more weight than your toes, everything from the size and shape of the edges to the angle the bindings mount at is tuned heel vs. toe side. This gives you more consistent performance on both edges, so you'll feel equally comfortable taking off from either side of the wake. And when you do take off, the Abrupt Continuous Rocker Profile will make sure you get an extra dose of pop, without unwanted drag to slow you when you come back down.